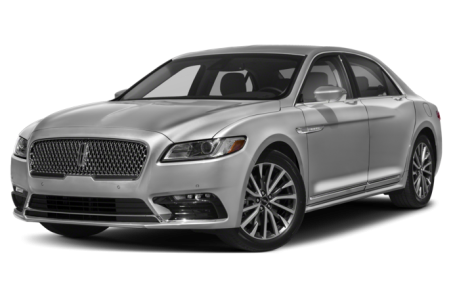 The 2019 Lincoln Continental is the flagship luxury sedan that made its return last year. It has three engine options: a standard 305, 3.7-liter V-6 engine, a 335-hp, twin-turbocharged 2.7-liter V-6 engine, and a 400-hp, twin-turbo 3.0-liter V-8 that produces 400 pounds-feet of torque is also available. All engines are mated to the same six-speed automatic transmission. Front-wheel drive comes standard, while all-wheel drive is available. Four trims are available: Base, Select, Reserve, and Black Label.